According to a new report from The Wall Street Journal, we're closer to the Alibaba IPO date as the roadshow is set to start early next week (Sept. 8), meaning that Alibaba stock could begin trading on the New York Stock Exchange as early as Sept. 18 or 19. Previous reports expected Alibaba Group Holding Ltd. (NYSE: BABA) to launch the roadshow portion of its IPO as early as today (Wednesday), but that's been delayed as the company waits for final feedback from the U.S. Securities and Exchange Commission (SEC). The Journal, citing unnamed sources, says that Alibaba is still having ongoing conversations with the SEC, but those are expected to be finalized within a week. 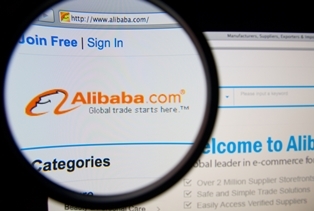 Once all of Alibaba's listing documents are approved, Alibaba can officially launch the IPO process. This is not the first holdup for the Alibaba IPO. The company filed its prospectus in May, prompting numerous predictions that the Alibaba IPO date would be sometime in early August. However, the company later announced that it would wait until after Labor Day (Sept. 1) to hold the IPO, since much of Wall Street would be taking summer vacations during August. When the IPO officially launches, Alibaba will set a price range for its shares and then begin its roadshow. The roadshow is expected to include more than 100 presentations in cities across the world including Hong Kong, Singapore, London, New York, Boston, Los Angeles, and San Francisco. These presentations will be the primary way for company officials to sell Alibaba stock. The multiple delays for the initial public offering are not uncommon, especially for one the size of the Alibaba IPO. Multiple filing updates are usually required as the SEC and investors seek additional information. Alibaba has updated its filing five times so far. If BABA stock does begin trading on Sept. 18, the entire process will have taken roughly four months. According to the law firm Wilmer Cutler Pickering Hale and Dorr LLP, the average IPO from 2007 through 2013 took a little less than four months to complete – so Alibaba is still right around the average. That's impressive as the company plans one of the largest initial public offerings ever. Many analysts have predicted that the Alibaba IPO will raise $20 billion, which would surpass Visa Inc. (NYSE: V) and Facebook Inc. (Nasdaq: FB) for largest U.S. IPO ever.